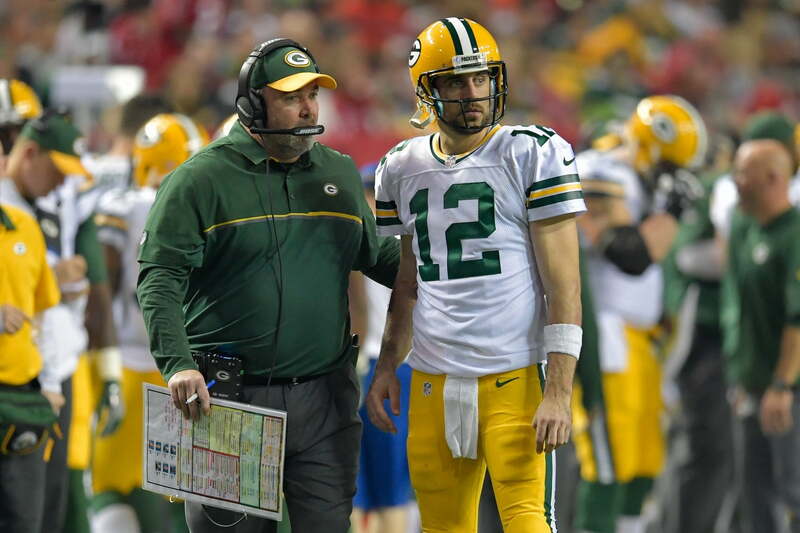 We already know that the relationship between Green Bay Packers quarterback Aaron Rodgers and head coach Mike McCarthy isn’t great right now. McCarthy’s struggles from an in-game standpoint have been magnified during a 2018 season in which the Packers boast a 4-6-1 record and are fighting for relevance this coming week against the Arizona Cardinals. With McCarthy clearly on the hot seat, said relationship between the longtime head coach and his future Hall of Fame quarterback continues to deteriorate. In a long-form piece covering the drama in Green Bay, Sports Illustrated’s Kalyn Kahler gave us an idea of what’s happening behind the scenes. This can be a frustrating aspect of coaching one of the game’s best ever quarterbacks. Rodgers’ on-field IQ makes it a necessity for McCarthy to give him an opportunity to change the play call. In the process, it could lead to some issues with McCarthy himself getting into a rhythm. But that’s not the most-disturbing aspect of this report. At this point, it seems to be a foregone conclusion that the McCarthy-Rodgers marriage will be coming to an end soon. This report does nothing to dispel that notion. In fact, it only adds to that. For now, Green Bay must win its final five games and get some help in order to even have a shot at postseason football. With these issues now public record, it’s hard to imagine that happening — creating a further rift between the head coach and his signal caller.